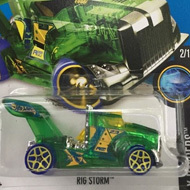 22/250 is a 2016 Treasure Hunt and 2/10 in the HW Digital Circuit series. 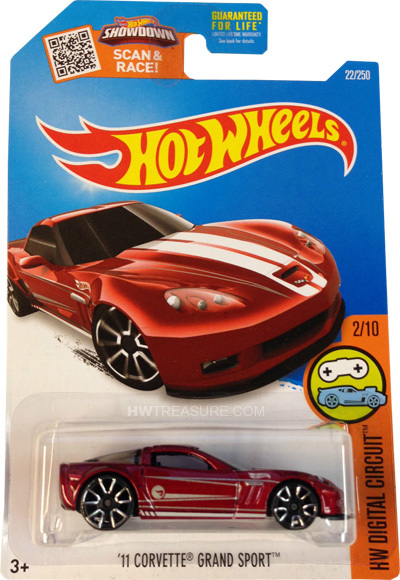 The red Corvette features white double stripes on the hood and a white stripe on the side rocker panels. 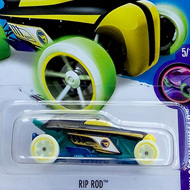 The sides also have the Hot Wheels logo, light white lines, and the low production symbol. The car has tinted windows, a black interior, Trapezoid 5-Spoke wheels, and a Malaysia base. The Grand Sport made its debut in the 2011 New Models series. It is based upon the actual sports car manufactured by Chevrolet.